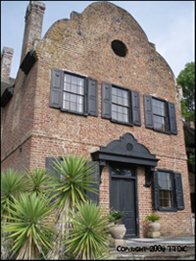 Charleston March Events: Things To Do In Charleston March! Submit Events for March here. The weather is getting warm and spring is officially here. 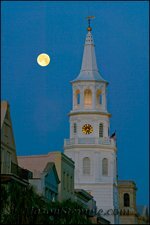 It's the best time of the year to get out and see what Charleston has to offer, especially before the height of the summer tourist season. Browse the month’s events below to find all kinds of great ideas to get you going! Every spring brings one of the hottest tickets around! The The Family Circle Cup comes to Daniel Island typically the end of March and into April. The event has gotten huge and draws big names like Serena Williams, Venus Williams, Chis Evert and Jennifer Capriati to name just a few. The nine day event also includes activities for all ages, children through seniors. Of course no spring is complete without its share of St. Patrick’s Day festivities! And it’s no different in Charleston. Tommy Condon’s is a well-known Irish pub and restaurant where everyone can be Irish for a day on good ‘ole St. Paddy’s Day! There is a St. Patrick’s Day Parade that is not to be missed with celebrations that culminate in the raising of the Irish Flag over City Hall. Depending on the year, Easter may actually fall in March. But we typically post our annual Easter events in the month of April, so be sure to check out April’s Event Calendar if you are searching for Easter-related things to do and the holiday happens to be this month. Just be sure to look below for additional postings on our Charleston March Events Calendar! 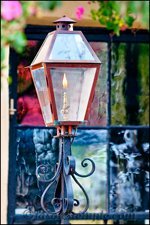 Other notable events for March include the Charleston International Antiques Show , which is a part of Antiques Week, and the Festival of Houses and Gardens, which presents a great opportunity to get close and personal with some of Charleston’s most historical and illustrious houses. The weather is starting to warm up nicely! In fact, on a good year, March is a great month to start heading for the beach! If you are starting to get a little “spring fever” then get up and get out there… March is bustling with things to do! If you would like to have your event listed on our Charleston March Events Calendar, please click on the link below. It's quick and easy, best of all it's free! 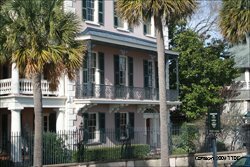 Share YOUR March Charleston Event here!